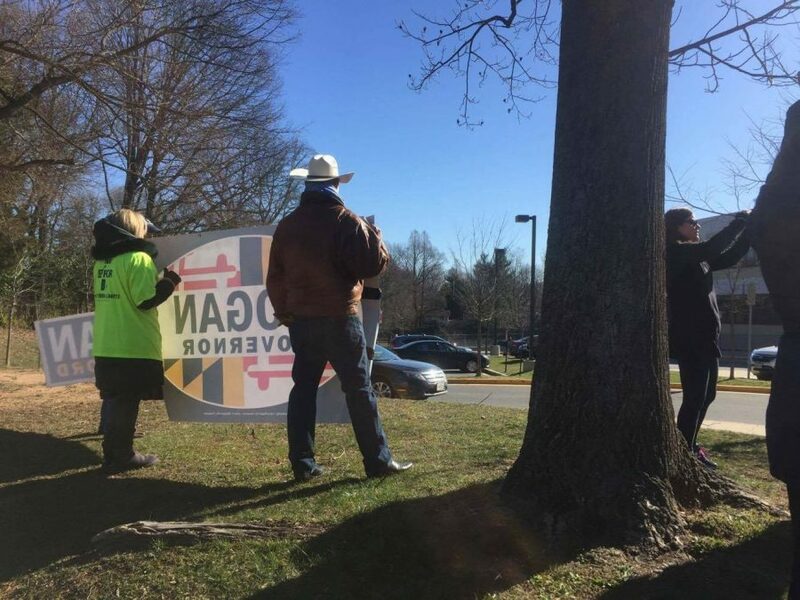 Many of Governor Larry Hogan's supporters arrived at Carderock Springs Elementary to advocate his education policies during his visit to the school. Photo by Lily Friedman. Education Secretary Betsy DeVos and Governor Larry Hogan visited Carderock Springs Elementary School to read to a second-grade class March 23, where they were met by activists chanting and holding signs both for and against DeVos and Hogan’s education policies. Despite high security, protesters still cheered loudly outside the school. Over 150 community members both supported and protested Governor Larry Hogan and Education Secretary Betsy DeVos’ education policies March 23. Photo by Lily Friedman. 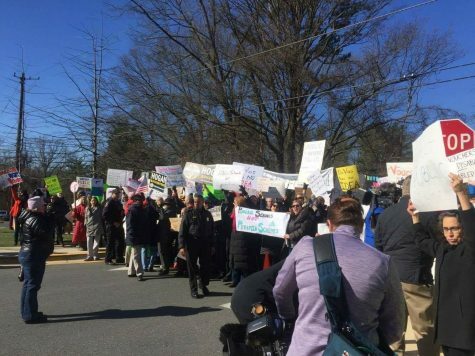 Although slightly outnumbered, many Hogan supporters also expressed their excitement for Hogan and DeVos’ education policies, responding to chants against the officials by shouting “DeVos is the boss” and clapping as officials pulled up to the school. 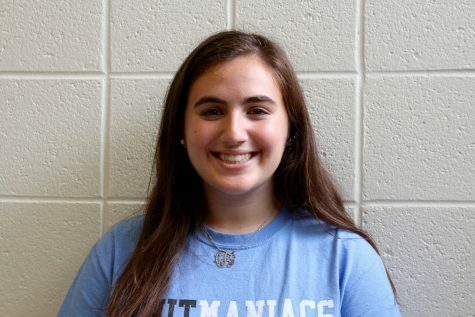 Lee, a Rockville High School graduate, understands both sides of the protests, but emphasized the importance of not politicizing the incident there.